Amar É Pensar, ou Afinal Para Que Serve Ter Um Amaral Dias? 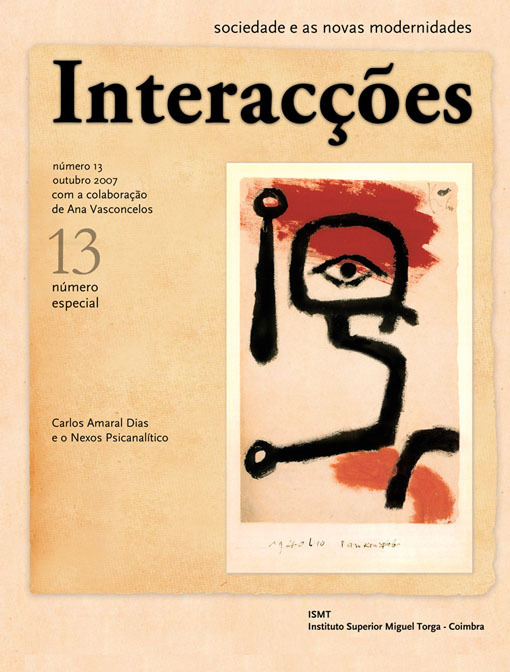 O autor reflecte, entre iconofilia e iconoclastia, acerca da natureza da relação Mestre/ Discípulo. Desta forma, ilustra as vicissitudes desta relação, através de uma sinopse do filme de S. Jonze, Queres Ser John Malkovich?, e as suas virtualidades através de excertos, para si mesmo especialmente significativos, da obra de Amaral Dias. O objectivo é fornecer ao leitor um fio de Ariana, tão pessoalmente impessoal quanto possível, acerca de uma questão tão íntima que toca o solipsismo, embora creia desejável, nestes como noutros assuntos, evitar o emudecimento apofático e aporético. O autor recorre, ainda, à tradição sânscrita, embora assinale que estes tópicos lhe não são exclusivos, reaparecendo na cultura ocidental e em datas bem mais próximas. To Love is to Think, or After All What Good is Having an Amaral Dias? The author reflects, between iconophily and iconoclasty, on the nature of the relationship between Master/Disciple. That way, he illustrates the vicissitudes of that relationship, through a synopsis of S. Jonze’s movie Being John Malkovich, and its virtualities, through excerpts especially significant to the author himself, of the work of Amaral Dias. The purpose is to provide the reader with an Arianna’s thread, as personally impersonal as possible, about a question so intimate that it touches the solipsism, while the author believes it is desirable, in this subject as well as in others, to avoid the apophatic and aporetic silencing. The author resorts, also, to the Sanskrit tradition, although he signals that those topics are not exclusive, reappearing in the western culture and in much more recent dates. Ribeiro, L.S. 2007. Amar É Pensar, ou Afinal Para Que Serve Ter Um Amaral Dias?. Interações: Sociedade e as novas modernidades. 7, 13 (Out. 2007).